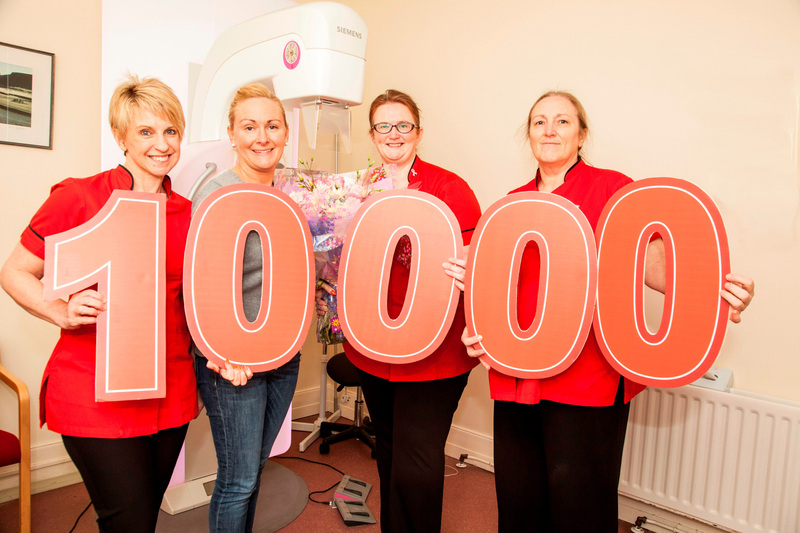 A Dunmurry woman has become the 10,000th woman in the north to be screened for breast cancer this year on local charity Action Cancer’s Big Bus. Angela Maxwell’s screening is a record-breaker for the charity, which is the only one in Ireland and the UK to offer free breast screening to asymptomatic women outside the NHS screening range of 40 to 49 and over 70. The charity’s digital mammography equipment can detect cancer in its early stages when treatment can be more successful. Now Angela is encouraging other local women to book their appointment to be screened. Approximately 1,240 women are diagnosed with breast cancer here every year and annually the disease claims some 300 lives. Consultant radiographer Joanna Currie said the mammogram can save lives by detecting cancer early. Women aged 40-49 or 70 plus can book an appointment online at www.actioncancer.org or call 028 9080 3344.